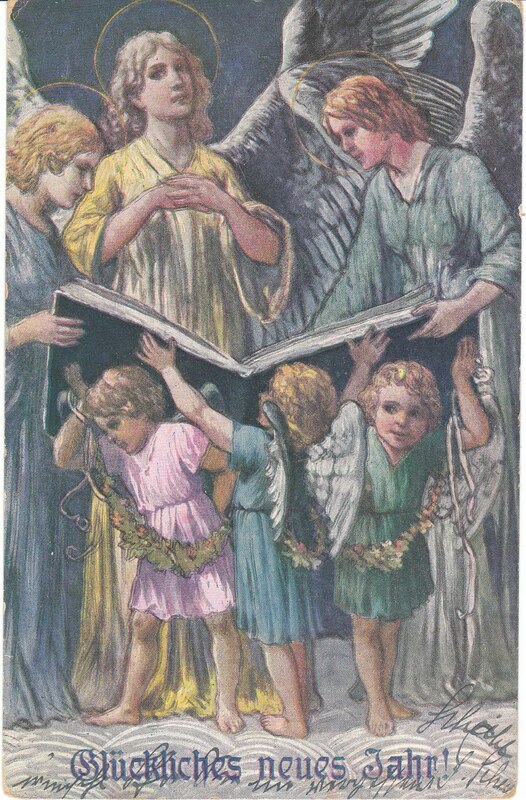 These vintage postcards are too lovely not to share. 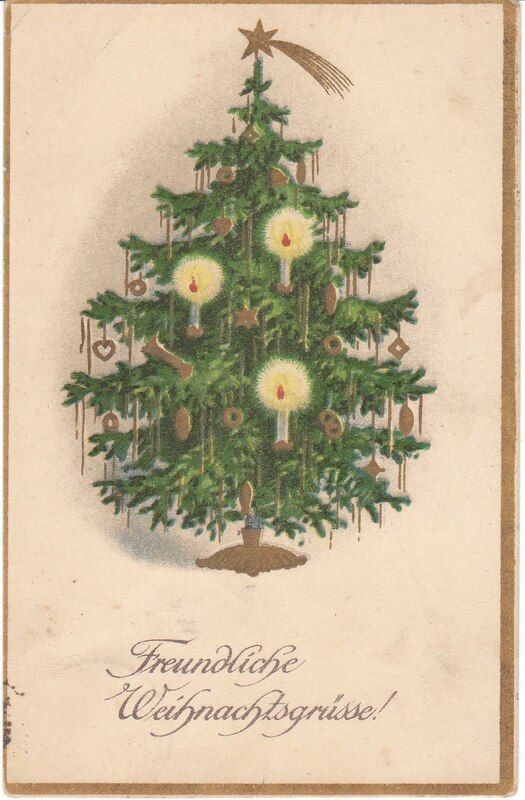 They are German and 1900's to 1910's vintage. One card features an old fashioned Christmas tree with gold tinsel, star, and candles. 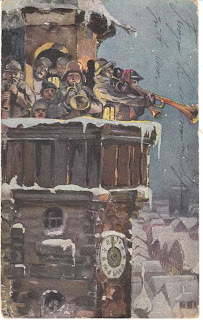 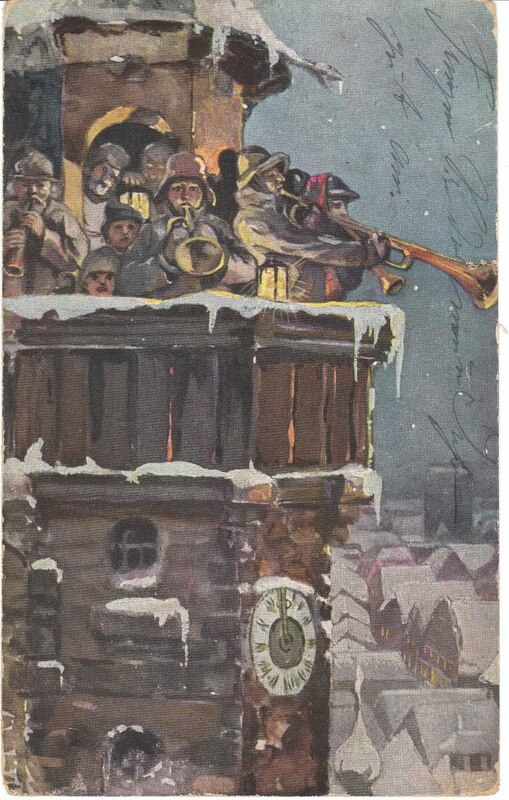 Another features a band of musicians playing in an open air tower. 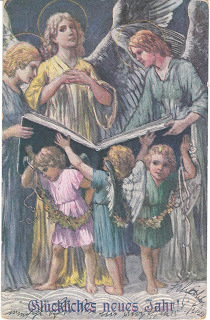 The third is an especially beautiful card featuring angels singing from a book that is held up by little cherubs.